It’s been a while since Spotify introduced the ability to stream podcasts through its app, but it’s now taking the next logical step and producing its own content, with the introduction of three music-themed shows. Hosted by Naomi Zeichner, editor of The Fader magazine, the series is set to cover the small screen's most massive musical moments, from TV shows like Stranger Things and Scrubs, through interviews with the people responsible. The first episode is available now, focusing on the cult-hit series, Girls, and features interviews with creator, writer and star, Lena Dunham, alongside music supervisor, Manish Raval. 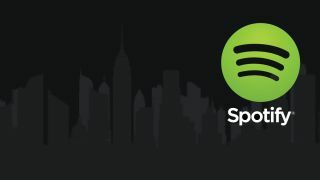 Spotify’s second offering, Unpacked, is due to premiere on March 14 and will feature daily interviews with cultural curators at festivals across the US, kicking off with Austin’s renowned South by Southwest. The last podcast on the bill is perhaps the most intriguing – premiering sometime in April, The Chris Lighty Story (a working title) is said to cover the life, death, and influence of the titular music industry executive who was best known for having a hand in the career of influential hip hop heavyweights, 50 Cent, Missy Elliott, LL Cool J, and Foxy Brown. More Spotify originals will be announced later this year, and you can already find the first episode of Showstopper under Spotify’s podcast section in the US and UK, although there is currently no indication that the shows will be made available in Australia.